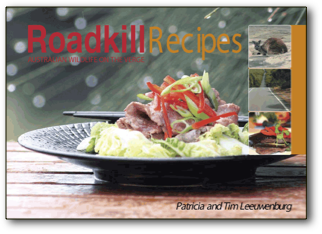 Contributions from the sale of Roadkill Recipe Books are directed to various conservation and road safety projects. 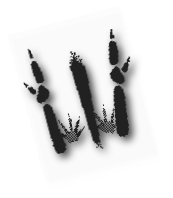 Thanks to Hyde Park Press for their help and enthusiasm for this somewhat unusual project! 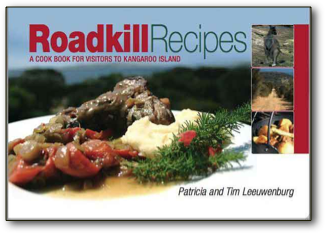 Roadkill Recipes is designed for the discerning reader with an interest in native wildlife and fine cuisine. Skippy the Bush Vindaloo, BBQ Tiger Snake, or perhaps a Cassowary Rollover? Click on the titles below to further tickle your tastebuds.